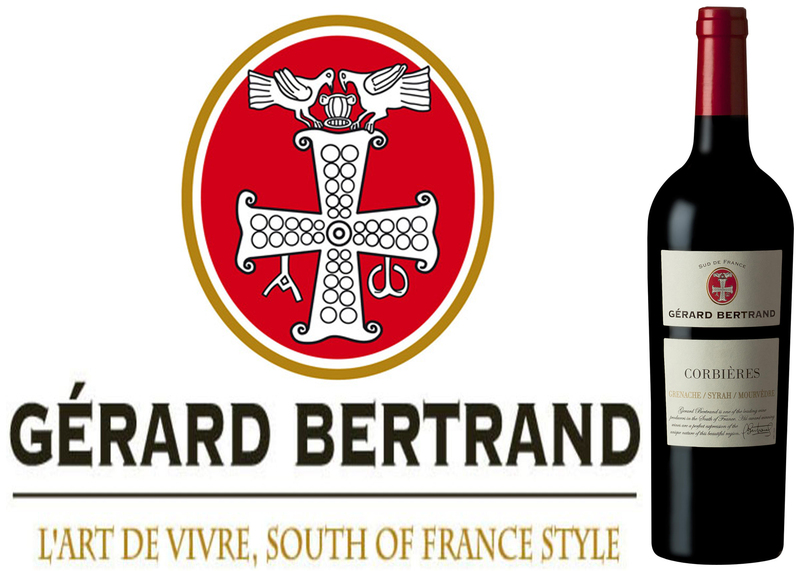 celebrates the local foods, wine, and Mediterranean culture of southern France, the Bertrand Winery has based their production facilities in the regional center of Narbonne and are impressively now exporting to 70 countries, worldwide! The South of France is playfully described as a European wine lake, containing 40% of the country’s vineyards. The process of replacing traditional high-yielding grapes with lower yielding varieties, to produce smaller quantities of premium wine, continues. What also carries forward, is that the wine being offered by Languedoc-Roussillon vintners remains comparatively inexpensive and a benchmark of outstanding value. Taking a pride-of-place among recent examples, this DéClassé feature of Gérard Bertrand Terroir Corbières certainly delivers on the expected rich, fruit-forward character that’s typical of the source region, while also being marketed at a delightfully discounted rate of $16.95 – down several dollars from the last recommended vintage in 2014. This bottle’s blending of Grenache, Syrah and Mourvèdre marks some of the traditional output from a rugged landscape where no other commercial crops thrive except for grapevine. 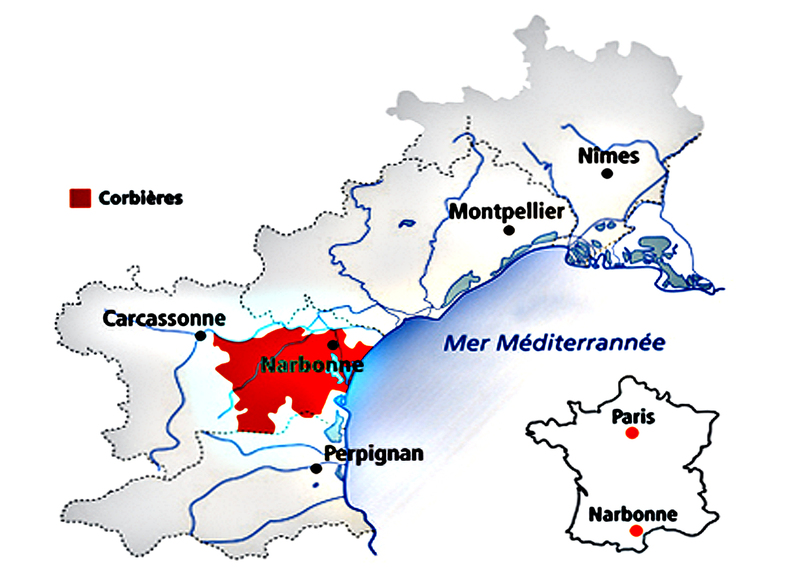 Having achieved an AOP classification in 1985, the terroirs that collectively define the Corbières sub-region are framed between the foothills of the Pyrenees to the southwest and Montagne Noire (Black Mountain) further north. In a variable mix of geology and microclimates, stressed by the wind, heat and poor organic soil, the surprising conduciveness of this land for grapes is demonstrated, near harvest time, like a rippling sea of lush green vine leaves crowning the plump clusters of fruit. White Limestone outcrops, spiky Garrigue (wild herb-like bushes), lines of Cypress tree windbreaks and sunbaked Terra Cotta tile-capped stone houses complete the characterful portrait of Corbières. As with the free-spirited land, wine producing regulations are less stringent thaN in the neighbouring Burgundy or Bordeaux regions, allowing for a broader range of cultivation practices, permissible grape varieties, and blending proportions. The best Corbières wines can now claim a unique standing among other long-established appellations, and though you’ll find this prolific winery on the regular LCBO shelves, this limited release is only in the Vintages section — emblazoned with a remarkably modest sticker price! As a blend of 3 fulsome grape varieties that have evidently reached full maturity before harvest, this is a herb-tinged, fruity wine style that’s best for heartier food fare such as stuffed peppers, meatballs in a spicy tomato and olive sauce, grilled meats. Or if slightly chilled, as an apéritif alongside ripe cheeses. Here in the sunniest corner of southwestern France, after an earlier period of working for other wineries abroad, Jean-Marc Lafage and partner Eliane have followed his father’s winemaking footsteps; the sixth generation to steward a collection of historic vineyards in various pockets of Roussillon. Their property in the Côtes Catalanes IGP (Indication Géographique Protégée) is by definition a mid-tier classification, lying between the coveted AOP and the generic Vin de France designations of the French grading system. However, in the case of this vintner’s inspired practices, the less-stringent guidelines and fewer entrenched traditions for fashioning blended white wine (in a region still better known for its reds and rosés) allows for a more flexible year-to-year recipe for selecting the proportions of the 23 authorized grape varieties. 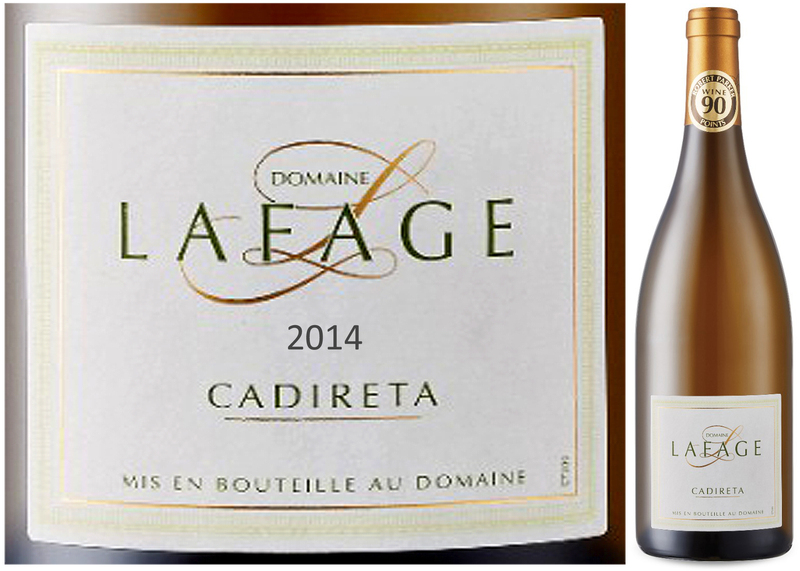 For this week’s DéClassé featured Domaine Lafage Cadireta Blanc 2014, the somewhat novel blend is 95% Chardonnay and 5% Viognier, with a third of the batch having been fermented in new Burgundy barrels and left to rest on its lees (expired yeast). Flourishing in a diverse set of global regions, Chardonnay can be finished in a broad range of styles. In Languedoc-Roussillon, apart from generally being a hot and dry zone that yields fully mature grapes, the easy-drinking Chardonnay style being produced is decidedly on the lighter and fresh side of the sliding scale. 45 years on from the region’s comprehensive overhaul that was begun in the early 1970’s, which saw the replacing of unremarkable vine stock with Noble Grape varieties such as Merlot, Cab Sauvignon, Chardonnay, and Viognier, there’s also been a steady advancing of quality while keeping prices competitive/attractive. At $16.95, this bottle exemplifies these facts, gloriously! lovers of un-doctored, mid-weight Chardonnay, the September harvest produced a noteworthy vintage of approx. 5,000 precious cases. If you’re an informed LCBO Vintage’s customer, then you already know that the few cases which made it here will sell-out quickly. If you’ve waited for a recommendation, then it might well be too late to find some. Nonetheless, be encouraged; the 2015 vintage may prove to be even better – next August! Featuring some delightful flavours and aroma notes of banana and tropical fruit, this also has the tell-tale vanilla accent of classic French Chardonnay. Try serving as a well-chilled aperitif with mixed charcuterie/cheeses, smoked ham, crostini, moules-frites or with mains of roast veal, lamb tagine, and mild curries. At some point toward the end of the Iron Age, Celtic-speaking peoples from Gaul began to migrate south across the snow-capped Pyrenees mountains and their permanent glaciers, settling into the rich pasture lands and forested valleys of northern Iberia. Along with providing the basis for a new language, Celtiberian, they’re also reputed to have brought with them a peculiar and potent recipe for fermenting wine blended with honey; resulting in exceptionally high levels of alcohol content. As historical conjecture, this might be seen as a premonition for the vacillating reputation of Spanish wines during most of the 20th century. Nonetheless, throughout all its ages of experience and experimentation, Spain’s vintners have always produced some exceptional red and white wines; fashioned from a host of characterful, largely indigenous grape varieties. What has more uniquely evolved in the course of the last quarter century, is the commitment by a cadre of younger winemakers to increase, markedly, the proportion of quality wine vs. the bulk volume that was common practice in the past. Gracias España! Blessed with various soil types; a continental climate, whose extremes of day to night temperature shifts are tempered by the Cierzo wind; abundantly irrigated by the Ebro River and its tributaries, this dynamic landscape is agriculturally well suited to livestock grazing, grain production, fruit orchards, and grapevines. The rich potential attracted Roman and Moorish conquest before consolidating and prospering in the Middle Ages as the Kingdom of Aragón. Modern-day Aragón has remained an autonomous territory within Spain’s federated patchwork, and centered in its three provinces; Zaragoza is the prolific heartland of its winemaking. 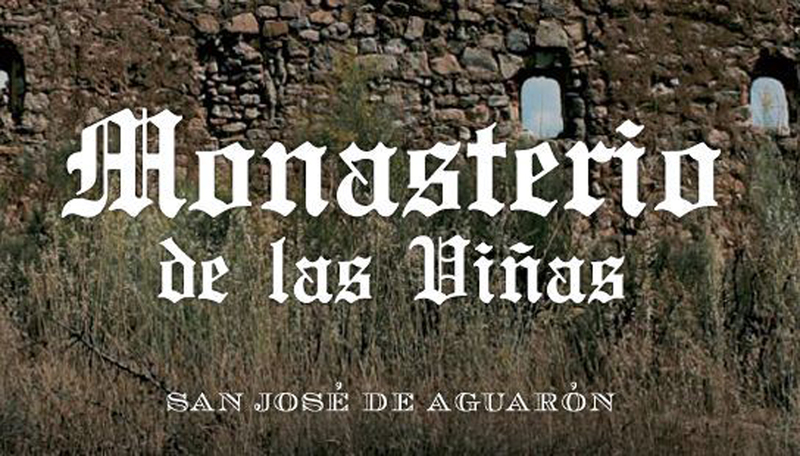 For this DéClassé recommended Monasterio de las Viñas, Gran Reserva 2007, the source lies 50km south of the provincial capital in Cariñena. Among many distinctions, the Cariñena DO was the first Spanish sub-region to earn and be granted official status in the 1930’s. In turn, the Cooperativa Viticola San Jose De Aguarón is one of the oldest of five grower’s cooperatives who produce and market their wines under the innovative umbrella group, Grandes Vinos. This featured bottling is a robust blend of 60% Garnacha Tinta, 10% Cariñena, and 30% Tempranillo, with fruit harvested from mature 40-year-old vine stock. The clay soils of the Aguarón vineyards provide critical water retention and lend character to the wine; the rocky overburden provides the distinguishing moniker of Vino de las Piedras (‘wine of Stones’). To qualify as Gran Reserva , this blend spent 24 months in a mix of French and American Oak barrels, then another 36 in bottle before being eligible for release. 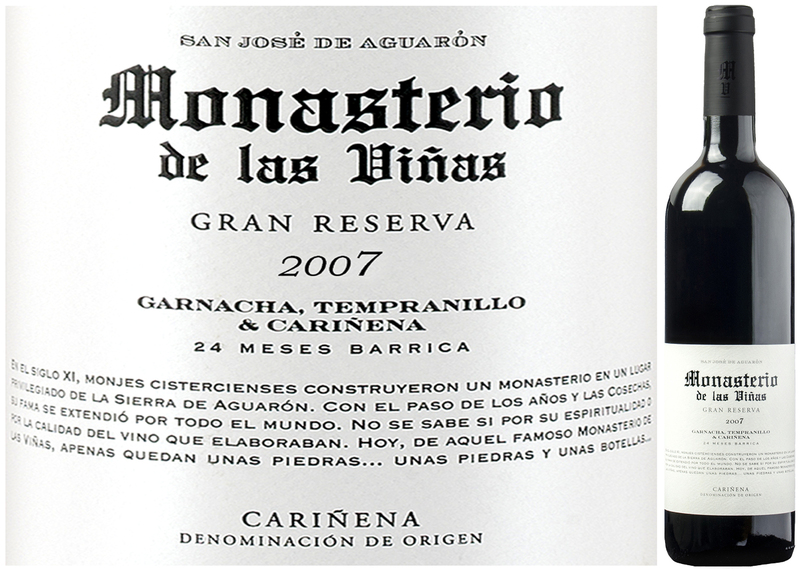 In Cariñena, 2007 is on record as a noteworthy vintage, whereas forecasts for the pending arrival of the 2008 bottling are far less favourable/assured. So, despite being an LCBO’s ‘Vintages – Essentials’ listing that’s available year-round, you might want to stock up on enough of this amply charming version to side-step the next one! Medium-bodied and smooth, this mature red has a lively edge to its mix of dark berry aromas and flavours, accented by the expected Eucalyptus notes. In having achieved a balance of acidity and tannins, this bottling could transition seamlessly between a hearty aperitif to dinner wine offering. Try serving with a spicy sausage Paella, braised lamb or roasted vegetable Ratatouille.